A chance to showcase India’s potential is 100 days to go! Ya, Commonwealth Games is just 100 days to go. This will showcase the world what we are made of. 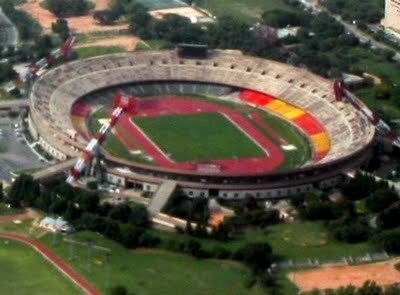 Commonwealth Games Delhi 2010 are set to begin on the 3rd of October. Infact, the Queen Baton Relay is currently in Lahore, Pakistan. It’s set to reach India on 25th, June 2010(Tomorrow). Some months ago we are uncertain about the completion of the works for the game. But, now there are no issues regarding that and the works are on fast track. The Games committee are now satisfied. All the works are nearing completion.Majority of stadiums are inaugurated. The major setback is the uncompletion of Jawaharlal Nehru Stadium where the opening and closing ceremonies are held. But, Kalmadi has promised this will be the best Commonwealth Games ever! Let’s wait and see. The total expense of the game is nearing Rs. 15000 crores. Our country has recently hosted a great deal of international events including Hockey World Cup, Boxing and Shooting. Games will be held in five stand alone stadia and six cluster venues. The Delhi Government has undertaken 24 infrastructures projects including games related roads, flyover, overpasses, parking places etc., but only 10 have been completed now. They are expected to be completed by July. All these projects will make our capital ‘a world class city’. I think that the participating countries should never complaint about the security setup. India is the safest country in the world! Our country must have taken the prepartions for this games more seriously some years before. Now, we are rushing up in the last minute. But, I am sure that Government of India and Olympic Committee of India can deliver an hi-tech, best ever Commonwealth Games ever! And this games will help in shifting the interest of Indian People from Money Oriented Cricket to real sporting events!